This entry was posted in Uncategorized and tagged baseball, birthdays, family, gram, mom, old people, senior moments, Tigers. Bookmark the permalink. “because the woman referenced wasn’t a nun” <– HAAAA. love it. your grandma sure is a cool one – I recognize it because I had two. happiest of birthdays to her – sounds like a fantastic celebration perfect for her! I'm keeping this post open so I can re-read all the linked posts again, they are too good. There are always nuns wandering around, but I think most are used to that by now. I also should have added that her name’s Mary. Otherwise I guess the post title doesn’t make sense. Anyway, love when you stop by! Happy 90th grammy! She is so damned cute. Good lord. I’m a spinster hippy too. I want to be old enough to get a pass for calling someone a cocksucker. I’ve loved your posts about your grandma; she looks great! Happy 90th to your grammy! She’s fantastic! I’m a grandma fanboi. 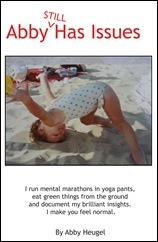 She and my late grandmother Gram would have gotten along extremely well. same attitudes. Yea! Happy Birthday! I wouldn’t mind being 90 if I had my brain and a nice granddaughter who — oh, kid-free living.. right. Crap. I keep having to remind myself to start endearing myself to young people. No crap. Right now I have niether of those things, so I best start scouting my options. Has Gordon learned to cook yet? Monie can’t serve me a damn thing without it being covered in hair. Cats…psh. Happy B-Day to your Grandmother! Since I am new to your blog I am now going to go catch up on your posts about her. My only living grandmother is actually my husband’s and she totally rocks. Would really get on with yours as well. Thanks for sharing your gram. She looks great. Well, you know what they say, 90 is the new 70. They won the game today just for her. What a milestone! Happy Birthday Gram! Both of my grandmothers were dead before I was born to older parents (does the term “rhythm baby” mean anything to you?) but my mom lived until she was 93. I know the fun you’ve had, and the love. happy birthday to you gram. she sounds like a true orginal and an absolute gem. thanks for sharing her w/ us. 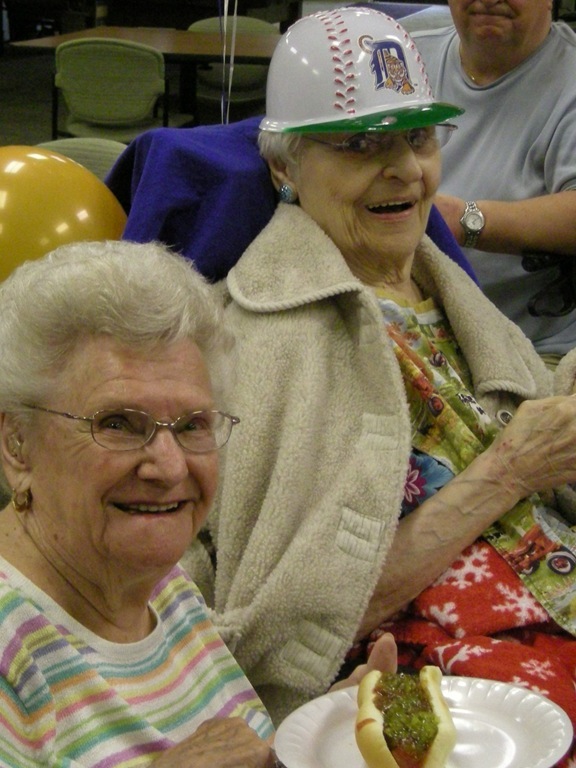 Awww… happy 90th to the g’ma! And I love you for saying the 21st is the first full day of summer. Too many people say it’s the 20th. They’re just wrong. Happy birthday to Grandma- she is my type of gal. Cocksucker?! She rocks. 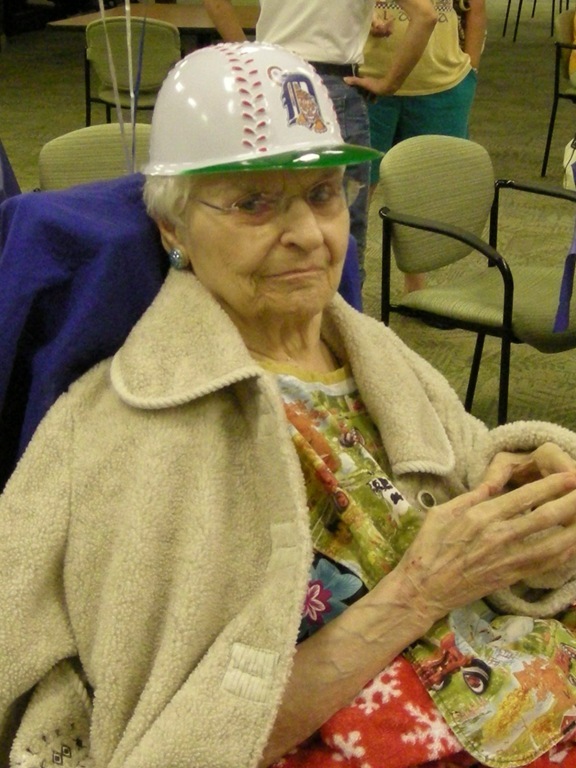 Your grandma is rockin’ that cap. Just sayin’. That girl looks like she knows how to party. Happy Birthday, Grandma. I hope no goddamn dogs hop on the goddamn couch during your celebrations. Wow, congratulations to her! That story about the swearing is HILARIOUS. this sumofabitch just deleted my comment. ANYWAY. i’m back on the INTERNETS. i’ve even gave my blog a makeover to prove it. i’m happy to be getting caught up on your stuff, i’ve missed you dear. your gram is 90, i’m gonna be 30 in two days. eh, i can only hope for tube meats at my party. I also have a grandma who is over 90. It amazes me when I think about how much she has been witness to in her lifetime. Awwwwwwww! Happy 90th Birthday to your wonderful Grandmother! I love that she called someone a cocksucker. And I am off to read the other links/stories about her. Happy 90th! I love these pics. 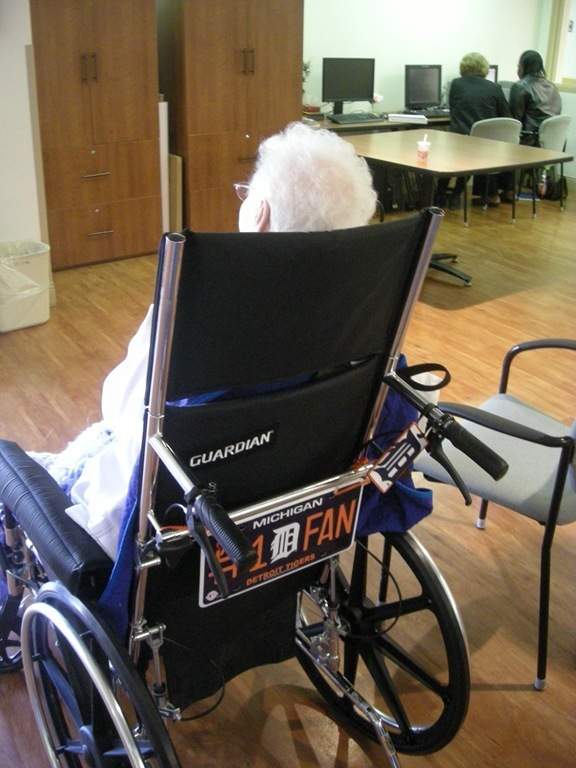 Especially the Tigers hat and license plate on her chair. That’s just freaking awesome. That’s how I want to be when I’m 90. That’s how I want to be at 31. Here’s to spunky grandma’s with foul mouths!